We Help People Work Through Tough Financial Times. Bankruptcy Can Be Stressful. We'll Give You Peace Of Mind. Compassion And Experience for the most challenging divorces. Steve Hacker is a San Antonio Chapter 13 bankruptcy lawyer who has helped San Antonians since 2005 with their Chapter 13 fillings. Learn whether you qualify for a Chapter 13 bankruptcy – or whether bankruptcy is the right answer for you. For a free initial consultation and evaluation of our situation, call us today at 210-740-6777 or fill out our contact us form. If you have previously filed for bankruptcy or do not meet the income requirements for a Chapter 7 Bankruptcy, a San Antonio bankruptcy lawyer can discuss whether filing for Chapter 13 may be the right option for you. A Chapter 13 Bankruptcy offers greater leniency, creativity and can often discharge more debt than under Chapter 7 Bankruptcy. Through monthly budgeting you will learn the principles and practices of good financial mastery. Most people qualify for a Chapter 13 Bankruptcy. Meeting with our San Antonio Law Firm bankruptcy attorney will help you better understand the process and advantages that a Chapter 13 Bankruptcy provides. Questions about Chapter 13 Bankruptcy? Ask an expert for help. One of the most important reasons debtors have for choosing Chapter 13 is to stop foreclosure proceedings on their home. The automatic stay stops the foreclosure proceeding as soon as the individual files the Chapter 13 petition. Nevertheless, the debtor may still lose the home if the mortgage company completes the foreclosure sale under state law before the debtor files the petition. It is important you contact our San Antonio Law Firm and speak to our skilled San Antonio Chapter 13 bankruptcy lawyer. Contact us to schedule a free initial consultation. Most people file a Chapter 13 bankruptcy because they are behind on a house or car payment. 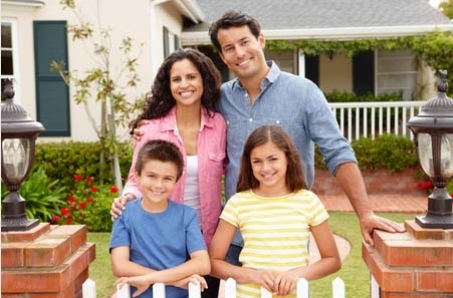 Regardless of the amount you are behind on your house payments or the amount of equity you have in your home and other assets, you are usually entitled to file a Chapter 13 bankruptcy as long as you have the ability and disposable income to make the monthly payments to the court plus your other debts. 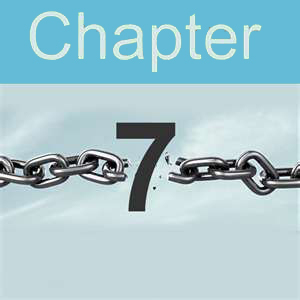 They do not qualify for a Chapter 7 bankruptcy because their household income exceeds the amount allowed within the Means Test. The Means Test is basically a calculation of your household income over the past six months compared to the median for the state where you live. If the household income for the past six months exceeds the median, your disposable income will be reviewed. 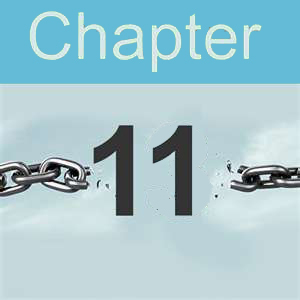 The Chapter 13 bankruptcy plan will include the amount you are behind on your home, your monthly house payments to your mortgage company, your auto loans, taxes and a percentage of unsecured debts including credit cards, personal loans, medical bills, old repossessions and old foreclosures. A monthly payment will be determined, and you will make this payment each month to the Bankruptcy Trustee, who will then distribute the money to your creditors based on federal law. If you are purchasing a car and want to keep it, the amount owed to the finance company for your car will be included in the payment to the Bankruptcy Trustee. If you are leasing a car and you want to keep it, you will make those payments directly to the finance company from whom you are leasing the car. Remember, these expenses are considered in determining your Chapter 13 payment to the Trustee. Most people file a Chapter 13 bankruptcy because they are behind on a house or car payment. Regardless of the amount you are behind on your car payments or the amount of equity you have in your car or other assets, you are entitled to file a Chapter 13 bankruptcy as long as you have the ability and disposable income to make the monthly payments to the court plus your other expenses. It is important to differentiate between your credit score and your ability to obtain credit. Your credit score is the number the credit reporting agencies assign to your credit. Your ability to obtain credit is based on your ability to make payments in the future and looks at your income and your debts. If your debts exceed your ability to make payments, you may be unable to obtain credit even if you have consistently paid your debts on a timely basis and have a good credit score. Filing bankruptcy may eliminate many of your debts and will improve your ability to obtain credit in the future. However, your credit scores will suffer initially after filing bankruptcy. It is also important to note that, just like a Chapter 7 bankruptcy, a Chapter 13 bankruptcy will not wipe out certain debts. These include student loans, most taxes, alimony, and child support. In most Chapter 13 cases, however, taxes, alimony and child support arrears (or back payments) are repaid over the course of the Bankruptcy when the Trustee distributes the money to your creditors. After filing your Chapter 13 bankruptcy, most of your creditors will no longer be able to call and harass you about your debt. Instead, they can contact our office. However, if you are making direct payments to a creditor (for example, your mortgage company or companies) they may still contact you, usually through written correspondence. Once your bankruptcy is filed with the bankruptcy court, an automatic stay typically goes into effect stopping creditors from contacting you and proceeding with foreclosure, repossession and other legal actions including enforcement of a lien. Debts incurred while your Chapter 13 Bankruptcy case is pending, may require court approval. Medical debt can be eliminated in bankruptcy. If you are married and the medical debt was incurred while you were married, both you and your spouse may be responsible for the debt. As a result, if only one spouse files bankruptcy, the other non-filing spouse would still be responsible for the medical debt. 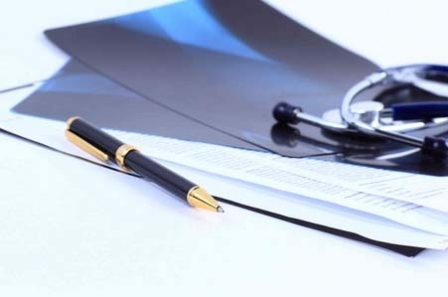 It is also important to determine whether the medical provider has obtained a judgment lien against you. If they have obtained a judgment lien and you own a house, additional legal paperwork may need to be filed to void or eliminate the lien. It is important you discuss this with your attorney. If you make your monthly Chapter 13 Trustee payments and all steps are followed, you will likely receive report of completion of plan payments after your designated 3 or 5 year time period. After successful completion of your Chapter 13 plan, you may receive a discharge from your obligation to repay certain debts. A discharge means that you are no longer responsible for any outstanding balances. You can begin a fresh financial future.